GHURA 'gold mine': Guma Trankilidat - KUAM.com-KUAM News: On Air. Online. On Demand. It's an issue that pops up every few years—how can GovGuam make money off of GHURA's Guma Trankilidat elderly housing facility in Tumon. Now just a month into a new administration, the issue is back in the limelight. But does the governor support the move to kick out manamko' staying at Guma Trankilidat? Well, that depends on who you ask. 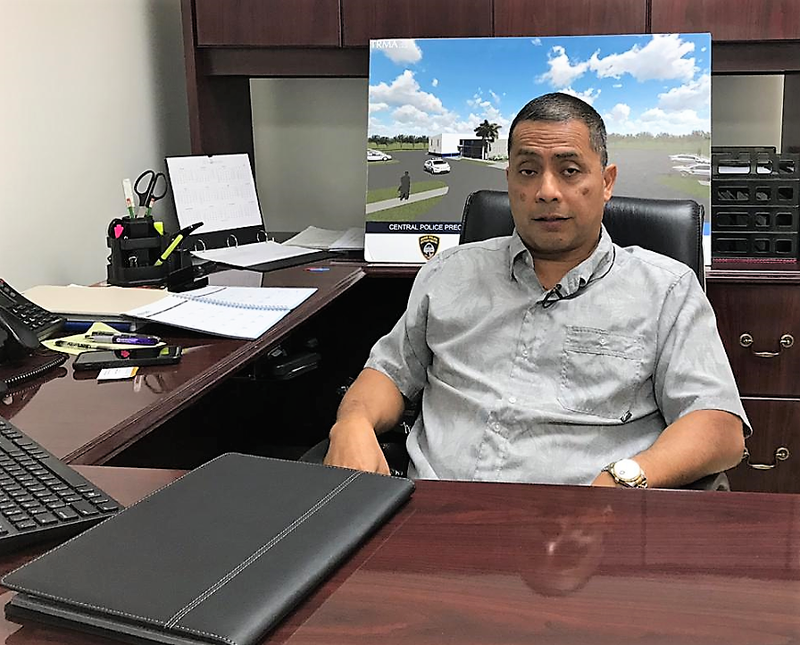 New Guam Housing and Urban Rewal Authority head Ray Topasna is all in when it comes to finding ways to make money off prime GHURA properties. "GHURA's sitting on multiple gold mines," he told KUAM. "We have Guma Trankilidat, that's worth tens of millions of dollars if not more. We have properties in Sinajana with million dollar views we have properties down in Merizo that have ocean views." KUAM News files show a proposed redevelopment of Guma Trankilidat was strongly opposed in 2010 by manamko' and several senators, most notably the late Sen. Ben Pangelinan. That isn't stopping Topasna from what he said, "thinking outside of the box," when it comes to the facility, which houses dozens of elderly and disabled. "I'd like to consider leasing it longterm to a hotel developer and using the revenues that come into the housing authority to build hundreds more elderly units," he said. We asked Gov. Lou Leon Guerrero if she supported the idea of cashing in on GHURA properties. "We want to make it like an earning asset, not just property that's laying there doing nothing," she said. But Lt. Gov. Josh Tenorio countered by contradicting the governor. He said the jury was still out on Guma Trankilidat even though we just asked the governor about that. "You're asking specifically about Trankilidat," Tenorio said. "Like she said, we don't really have a position or plan of action there that would certainly have a lot of community input." But Topasna told KUAM News the Leon Guerrero-Tenorio administration was definitely in the loop when it came to plans for Guma Trankilidat. "I certainly hope so because we did put it in the governor's platform," he said. "Was one of the authors of the platform. She reviewed everything. There were no objections." "We haven't really sat down and talked about Guma Trankilidat," the governor said. "I know that has always been in the past a controversial issue." While the administration appears to be unclear about where it stands on the issue, Topasna said GHURA can build public housing anywhere else. We asked him what Guma Trankilidat and GHURA residents might think of the agency saying the "best use plan" for prime properties will involve in the worst case scenario—GHURA clients getting kicked out. "The folks that live there? Well, you know—they're probably not going to be very happy," Topasna said.